Hi all! 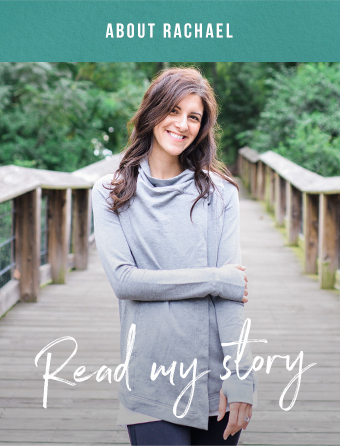 Just got back in town this weekend, but I've got one more guest post lined up for you as I get back to life and reality! This last one is from Meme Inge, one of my dearest dietitian blogger friends. Just watch one of her blooper videos from filming her recipes and you'll know why I love her so dearly. Hey there, y'all! I'm Meme from Living Well Kitchen and my goal in life is to show ho nourishing and nurturing your body can be fun. For realz. This is probably one of the reasons why Rachael and I get along oh so very well (among like 600 other reasons). Oh and I am ever on the conquest to get people to eat more plants. If I can add extra veggie in my meal, you better believe it's gonna happen. This doesn't mean I'm sneaking or hiding veggies in my desserts. Ok, so I have done that before but it was only to prove a point that I could successfully add spinach to brownies. And then, I aded a graham cracker crust and covered them in marshmallows to make s'mores brownies (aka the best brownies ever). Adding extra plants to your life can have some happy side effects like more energy and more satisfaction from meals thanks to filling fiber. Salsa is my number one when it comes to eating more plants. First and foremost, salsa is delicious! Second, it adds more flavor to your food to make it more exciting. Chips...tasty. Chips and salsa? Match made in heaven. Scrambled eggs...nice. Scrambled eggs and salsa (maybe add some bacon while you're at it)...awesome! You get the point: salsa is the BEST. 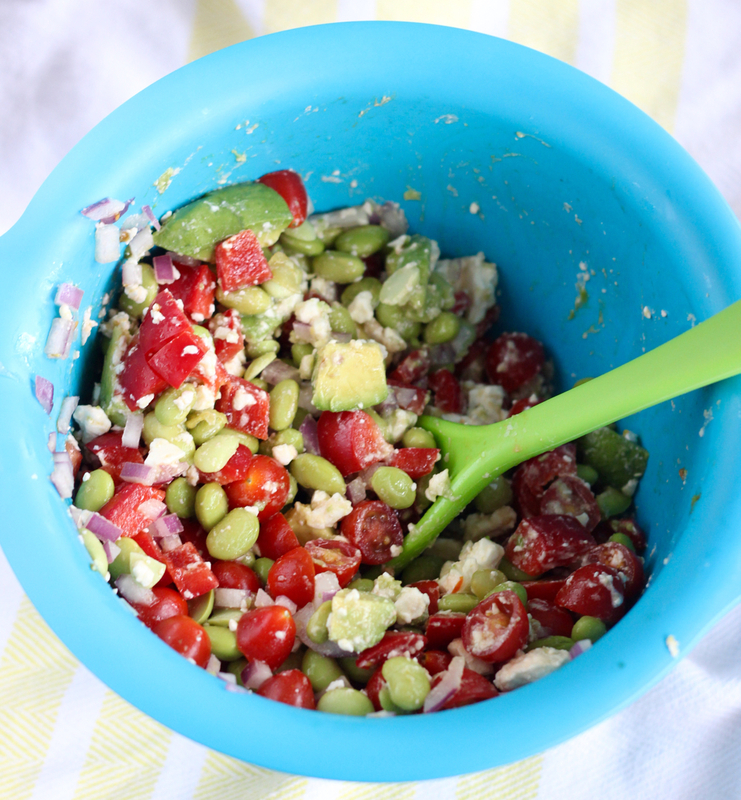 Which meads me to this edamame salsa. In the summer, there is a 94.9% chance that I have some type of homemade salsa in my fridge. It's when my favorite salsa ingredients are in season (like tomatoes) and I want as much salsa as possible. I also like having a big bowl of salsa to make for parties, so I can share the plant-love with others. I love that edamame gives you an extra burst of protein, so it pairs well with chips for a hearty snack or with tacos or eggs for an extra burst of nutrients at breakfast. It's great served over quinoa for a meal. I even eat this straight from the bowl almost like a salad. At first, I thought this would be a random combo but y'all...you really need to try this! Every ingredient pairs so well with others, especially after sitting for at least 30 minutes. A little note that this can successfully be made ahead if you do not add the avocado and edamame until just before serving. It'll still taste good but the avocados turn a little brown and the edamame gets a little pale. 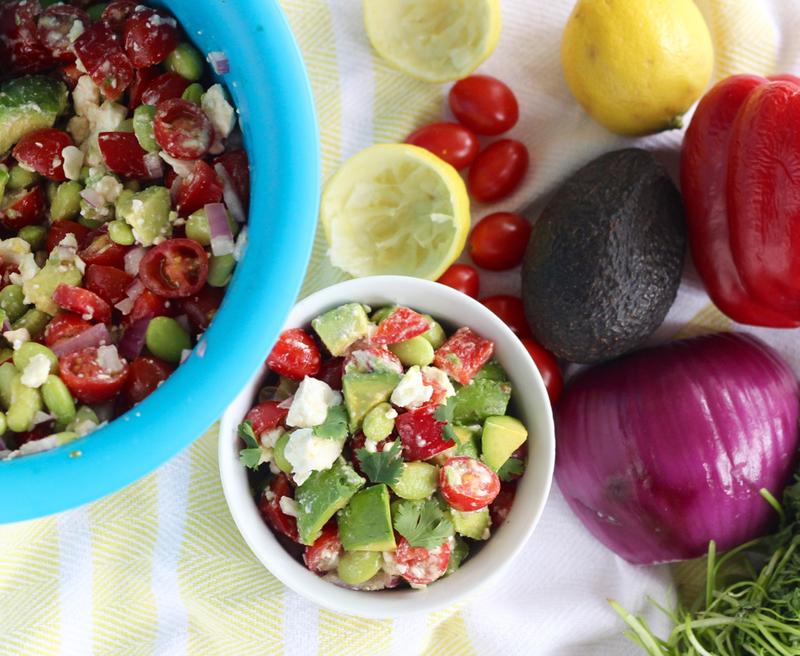 If you can chop the veggies and cook the edamame (meaning boil some water, add the frozen edamame and drain after five minutes), you can make this salsa. And I promise you it's worth the fifteen minutes of prep time for a whopping 8 cups of salsa. Beware though because it only took me 4 days to eat this. I was literally adding it to every meal and snack because it's so good, so if you are serving more than you and a friend, you might want to double the recipe. 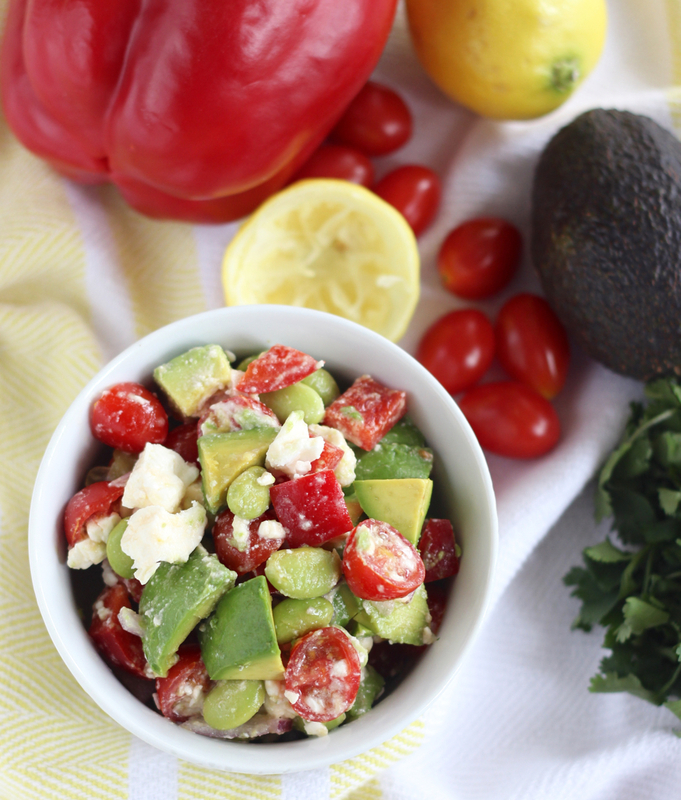 In a glass or plastic bowl, stir together tomatoes, onion, bell pepper, olive oil, salt and lemon juice. Cover and refrigerate until ready to prepare. 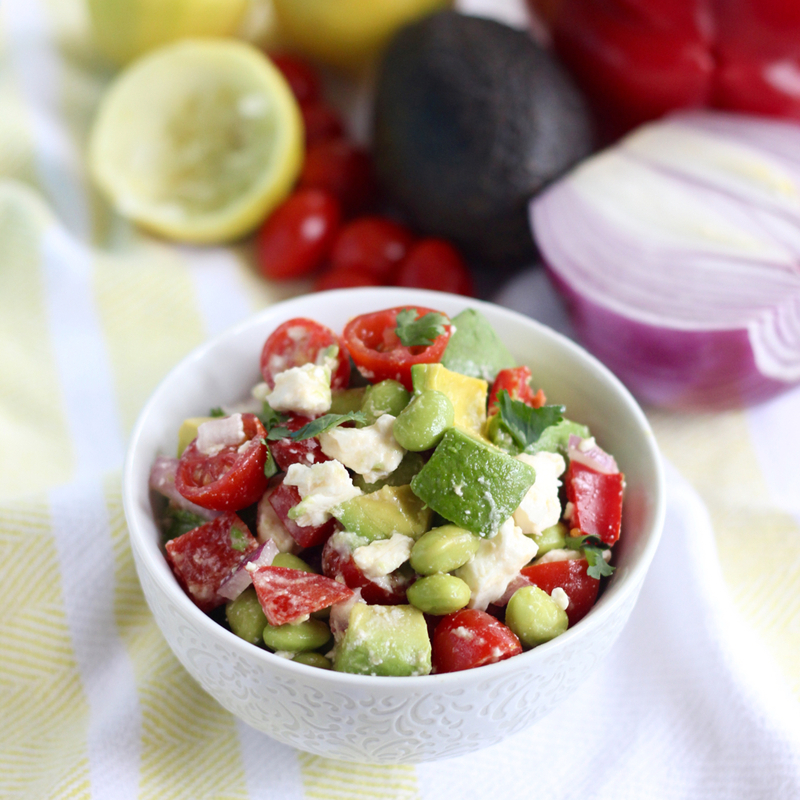 When ready, stir in the edamame, feta and avocado. Stir in chopped cilantro or parsley. Keep covered in the fridge for about 3-4 days (but the edamame will turn a pale green and the avocado might turn a little brown).